Corey Thurman after receiving his 2010 Atlantic League Championship ring prior to Opening Day 2011. In his final home start of the 2013 season, Corey Thurman struck out three Bridgeport Bluefish on September 8. 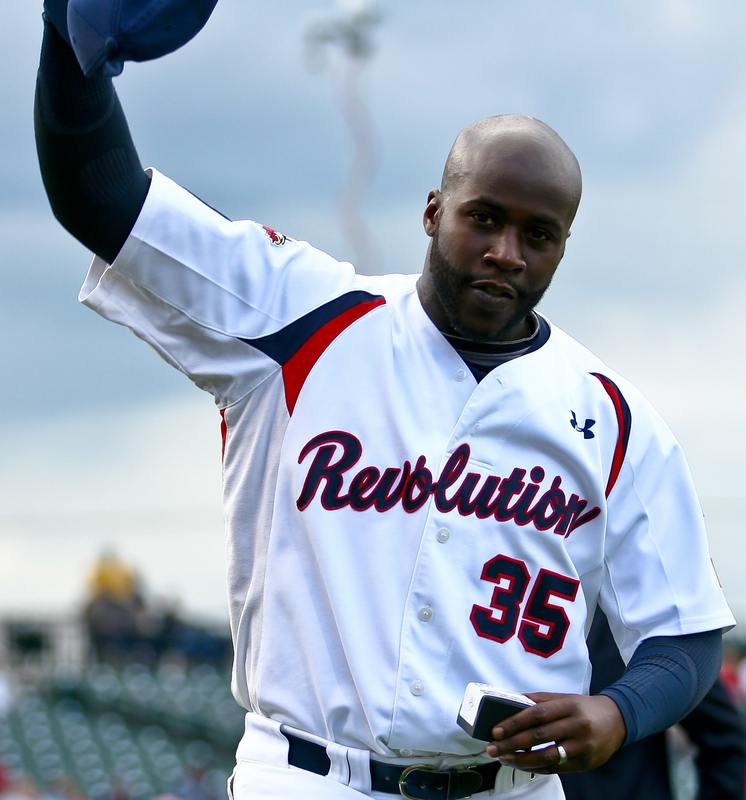 That put him at 578 strikeouts in a Revolution uniform, now in his sixth season with York. Thurman passed Lincoln Mikkelsen (577) to move into second in Atlantic League history. Mikkelsen is still second all-time in league wins, with 62; Thurman has 56 career ALPB wins. Thurman still has a ways to go to catch all-time Atlantic League strikeout and wins leader Tim Cain, who has 737 career punch outs and 74 wins. This entry was posted on September 9, 2013 by blogtoblogchamps. It was filed under Atlantic League News, Corey Thurman, History, Player News, Team News .